Update 11/14/13: I keep getting questions about Obamacare and how it impacts on dialysis patients. Therefore, I’m posting this page again. I hope, if you have questions, you’ll put them in the comments section. Also, if you aare experiencing problems with your health insurance as a result of ACA implementation, let us know. Thanks. Update 6/5/13: The simple answer to the most frequent question about ObamaCare and dialysis is: NO! No one is going to be denied dialysis (or chemo) after age 75! There’s NOTHING in the Affordable Care Act that says anything like that. It’s simply a lie perpetrated by some people that don’t like ObamaCare/ACA. Why they would perpetrate a lie like that, I don’t know. It’s shameful. I didn’t realize how much MISinformation was available on the topic of ObamaCare. When I googled it, it took several screens before I got to something that wasn’t from a propaganda website so lacking in facts, it was total fiction. So, obviously, some accurate information is necessary about what dialysis patients need to know about ObamaCare or, more properly, the Patient Protection and Affordable Care Act (PPACA). There are websites making all sorts of wild-haired claims like everyone over the age of 75 will be denied dialysis, that not everyone who needs dialysis will get it under Medicare, care will be rationed and under the scrutiny of “death panels“, etc. Fact is, none of this is true. One particularly factual review was done by Jack Ahern (no fan of ObamaCare) and published in RenalBusiness.com titled: “Dialysis Specific Provisions of ObamaCare”. He identifies two sections of the 2000+ page law that apply directly to dialysis; sections 3202 and 10336. (a) LIMITATION ON VARIATION OF COST SHARING FOR CERTAIN BENEFITS—Patient Protection and Affordable Care Act – SEC. 3202. BENEFIT PROTECTION AND SIMPLIFICATION. (a) LIMITATION ON VARIATION OF COST SHARING FOR CERTAIN BENEFITS.—Section 3202 prohibits Medicare Advantage plans “from charging beneficiaries cost sharing for chemotherapy administration services, renal dialysis services, or skilled nursing care that is greater than what is charged under the traditional fee-for-service program.” The effective date for this requirement is for plan years beginning on or after Jan. 1, 2011. This means that a Medicare Advantage plan or other Medicare HMO can’t charge patients more than they would pay under traditional Medicare. This specifically includes dialysis. That’s a good protection for patients because it assures those plans won’t be able to gouge dialysis patients if they decide to do so. Section 10336 also specifically mentions dialysis and the oral medications we’re given as part of our treatment for ESRD and whether or not they should be part of the “bundle” for which providers are paid. Just a note here about “the bundle”. It’s a recently created payment system whereby dialysis centers and providers are paid a set amount per patient for a group of services like dialysis. Rather than charge specifically for each service (fee-for-service), providers are paid a flat fee for a bundle of services. Medicare (or CMS) has been going back and forth with providers and patient advocacy groups like Dialysis Patient Citizens for a couple years to smooth this system out and make it beneficial to patients while saving money for Medicare. By all accounts, it is working. With that in mind, Section 10336 directs that the GAO (Government Accounting Office) will perform an analysis to review how adding phosphate binders and calcium medications to the bundled payment will effect patients. Such study shall include an analysis of—(A) the ability of providers of services and renal dialysis facilities to furnish specified oral drugs or arrange for the provision of such drugs; (B) the ability of providers of services and renal dialysis facilities to comply, if necessary, with applicable State laws (such as State pharmacy licensure requirements) in order to furnish specified oral drugs; (C) whether appropriate quality measures exist to safeguard care for Medicare beneficiaries being furnished specified oral drugs by providers of services and renal dialysis facilities; and (D) other areas determined appropriate by the Comptroller General. That GAO study was completed recently and the GAO believes these drugs should be part of the bundle and that it would benefit patients if they were. To promote more efficient dialysis care, by allowing ESRD facilities to gain financially by reducing costs. To promote clinically appropriate care by removing financial incentives to use certain drugs over others. To improve access to oral-only drugs for certain beneficiaries, such as those who lack separate prescription drug coverage. Another score for patients as part of ObamaCare! If binders and calciumites are paid for as part of the bundled payment to providers, patients won’t have to pay separately for these under their Part D and, for those without Part D, they will get them as part of their dialysis treatment. However, there’s some concern that providers will under serve by not giving patients enough to save money. But, since the measures for phosphorus and calcium are part of the periodic testing, this should be a reasonable control. If patients at a center have continued high phosphorus, for example, the center could be investigated for under serving binders. So, there are safeguards in place to monitor that. Now, back to the propaganda being pumped out about ObamaCare. There’s a old saying: “A lie is halfway round the world before the truth has got its boots on” and when it’s about ObamaCare, it’s absolutely true. I went through pages and pages of material to get down to some facts. It’s really upsetting that politically motivated interests are pumping out falsehoods about Medicare as a mechanism for scaring people but it’s effective unfortunately and there are volumes of misinformation on the internet. 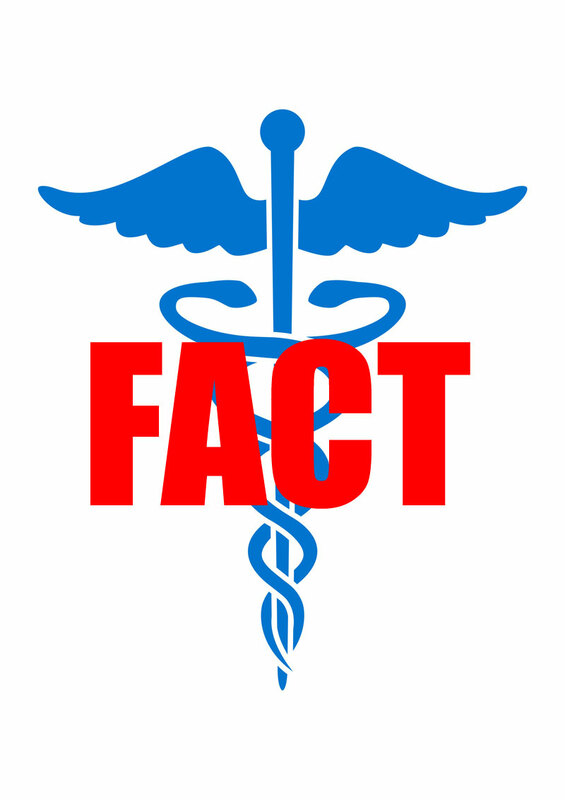 Even on some well respected websites like Amazon.com and AllNurses.com there are a host of popular myths being passed along about medical treatment under ObamaCare. Nowhere in the thousands of pages of the Patient Protection and Affordable Care Act passed in 2010 is there any mention of “ethics panels.” In addition to that, the law makes no mention of any provisions specifically affecting those 75 and older. Every hospital has an Ethics Panel that reviews the performance by physicians in any questionable situation. It’s part of the hospital’s quality assurance and legal liability protection. It has little to do with hospital policy or procedure and nothing to do with what services patients receive. Yet there still are wild speculations being bandied about in emails and forums like “By law, a panel of government officials will be empowered to make changes to Medicare”. Of course there are government officials making changes to Medicare! It’s a government program! But those changes aren’t made easily or in some smoke-filled backroom. They can’t. All changes to Medicare are subject to review and public comment. Groups like Dialysis Patient Citizens are constantly providing input to Medicare about their proposed changes and only after months and months of deliberation and revision are changes finally made. However, I should point out that Private Insurance companies can make changes to your policy and coverage without your input and review. So, having “government officials empowered to make changes” is not a bad thing because, at least, we have some say in those changes; not so with private insurance. If you have someone spouting off about these so-called Death Panels or other popular myths they believe are part of the ACA, the link in the quote above goes to every page of the law and they can read it for themselves. If they are such experts, they should at least have read it, eh? I suspect there will be no end to the scary tales spun about ObamaCare by political propaganda machines. However, for dialysis patients, there are only positive enhancements to our medical treatment due to the ACA and there should be more to come as the other parts of the law come into effect over the next couple years. Update 12/1/12: I’m republishing this as there’s been a huge amount of discussion and more misinformation passed along lately about ObamaCare and how it impacts on dialysis. I had hoped that the information about it would have improved since I published this in October but it hasn’t. So, in the interest of clarification, I’m touching upon this again. This entry was posted in ACA, Affordable Care Act, dialysis, ESRD, lobbying, Medicare, Obamacare, patient care, politics and tagged ACA, Affordable Care Act, dialysis, ESRD, hemodialysis, Medicare, Obamacare. Bookmark the permalink. HI Devon. Thanks for putting together a great summary of so many good points. I wonder however how much health care bills like the PPACA can address the gap in care created by patients not caring for themselves too. Phosphorus can be effectively controlled by binders IF it’s combined with a low phosphorus diet for example..and while a clinic may be investigated for having patients with high phosphorous and ultimately penalized as though they are under treating their patients, the fault may lie with the patients own lack of self control with their diet. I’ve been working in dialysis for around 5 years now and frankly would love to have to go find another job because wide spread renal failure was entirely prevented. I love our patients and I work hard to care well for them.. but since the new provisions designed to “help” patients have come out I’ve seen cuts in the quality of materials used for dialysis. I’ve experienced many rounds of “burn out” because one clinic I worked at has had to cut staffing and even benefits to its remaining employees because they aren’t compensated enough for treatments to cover the previous costs alone.. I’ve cared for illegal immigrants who desperately needed dialysis, for weeks on end, till they were finally able to go home.. entirely free to them. While I’m honored to care for these people and would in no way think of denying them care, I also understand that those “free” treatments are payed for by spreading their cost out over the entire company’s total treatments. While it does seem unfair to add to the bill of privately insured or medicare patients, it’s the only source of funding to cover the costs of such treatments.. Now, I work for a nonprofit hospital system. Free healthcare is always payed for by someone. I love that the PPACA provides better access for people to get care. I’m working to become a doctor myself and I love the thought of being able to help more people, even if it means that I face reduced compensation compared to previous rates. However I can’t help but feel like this current round of healthcare reform isn’t addressing all of the weaknesses which have been dragging the system down for so long. Where are the provisions requiring preventative actions by the citizens themselves? In 2006, I was researching ESRD and Medicare and I found that approximately 23% of the medicare budget was providing care for ESRD patients, while such patients represented less than 3% of the total patient population. Also that the leading causes of kidney failure are ill- or non-managed type 2 diabetes and chronic high blood pressure. I know that not all kidney failure is caused by these things, and that unfortunately even with the best preventative care both these conditions can still lead to kidney failure. It’s clear that chronic high blood pressure causes kidney failure yet some patients won’t take their blood pressure medications, exercise, or watch their diets more closely.. In the end their kidneys fail and they add to the burden on the system as a result of sheer lack of self discipline, lack of education, or sometimes even just lack of motivation. These kinds of burdens are preventable if patients take a vested interest in prevention before treatment, seek quality education about maintaining their bodies, and act accordingly. Generic BP meds can be obtained for 30 dollars a year from Walgreen’s and Walmart, so I don’t always believe it when people say they can’t afford BP meds.. Just a few days ago I was chatting with a doctor who said in context, “I wish I could do more for patients,” but “I can’t make someone lose weight, exercise, or take their medications…” Many of the cost cuts under the PPACA that provide the extra funding needed to care for more people are not coming from encouraging more efficacy by providers, but by refusing to pay physicians and healthcare providers.. literally, just plain refusing to pay. They are still required to care for the patients, regardless, and nearly all would do so anyway. All doctors take the Hippocratic oath and most try very hard to only do good and to help people correctly, and yet these same good-hearted men and women will be penalized because many, many of us won’t care for ourselves. This is hardly just to them or us. And though such patients may represent a minority of the general population, they seem to be a large component of the patient population at any given time in most healthcare centers.. Yes, some things are not preventable through good healthy living, and many would argue that these are the people the system is designed to care for most effectively. In reality, if we as patients won’t care for ourselves there’s not much healthcare reform can hope to solve. It’s no wonder that compensation based upon results is facing so much opposition from inside the healthcare world…. Additionally, an example of how reducing compensation is actually hurting the system comes from a conversation I had recently with a Critical Care doctor who did his utmost to talk me out of a career in medicine and cited an experience he faces routinely in which a patient who needed an emergent procedure to treat a lower GI bleed (and who would get it because to not provide service would have been unethical) but the paperwork alone took 45 min or more and approval from the government would require an additional 2 weeks of processing time, and after spending more than an hour both seeing the patient and dealing with paper work this doctor would only get to bill for 10 minutes of time: and still not know for two more weeks if he was going to get paid for the additional 90 minutes of time spent on the procedure that would save the man’s life. So after 2.5 hours of treating someone he was only guaranteed compensation for 10 minutes of his time. This is not a reasonable way for our system or government to encourage quality people to spend upwards of $500K and 12 years of their youth/middle lives (pushing the opportunity cost of a medical education to well over a million dollars), nor a responsible way to help physicians provide for their patients. As fewer people enter the healthcare field, current doctors will be required to assume the increased patient load and may “burn out” much sooner than they otherwise would.. One doctor told me that it will require every doctor and PA currently in school and for the next 4 years just to care for the additional patient load. He wasn’t sure how the PEOPLE providing care in the system would be able to handle such an influx.. Thanks for you comment. The ACA is not where compensation is coming from. That’s the CMS/Medicare system and while the ACA is intertwined with Medicare, they are completely different animals. There were some changes to Medicare in the ACA but, well, you get my idea. And the email address doesn’t show in the comments. Thanks DevonTexas. Especially for reading that huge monologue! I just re-read what I wrote after having not thought about it for a while. What I wrote didn’t really discuss the AVA and Dialysis directly. Specifically I should ask. Where does the money come from that’s used to bridge the gap between the true cost or care and what Medicare will actually pay? Sure Medicare pt’s now can’t be “gouged” per the ACA, (your first observation) but reality translates that gap-in-compensation burden into “gouging” or “cost sharing” of patients with private insurance, thus expediting their expenditures up to their lifetime maximums and shunting them onto the Medicare system that much quicker. Your right, it helps the Medicare pt/Medicare system cut costs — but hasn’t actually cut the cost of healthcare, just further burdened a different side of the whole system. The second question I have deals wih the GAO’s claim that bundling oral meds will improve provider’s profits by reducing costs. Where can I go to read the data they use to make that claim, or even to support their logic? As far as I can tell, the only way that cost reduction improves profits is if compensation stays at the price fixed PRIOR to the reduction in variable expenditure costs. Otherwise cutting costs is just a way of keeping up with reduced compensation… How exactly is his supposed to work? Does it benefit everyone on dialysis or only those forced to use Medicare? I’m curious. Do you have any insight? I’m working on some answers to your excellent questions. I’ll be back to you on this. Devon, your explanation is one of the clearest and best documented i’ve read. I’ve already started using it in debunking the crap people have been throwing at me about how Obamacare would impact my dialysis (that’s what I get for putting my Obamacare bumper sticker on a vehicle i drive around Kansas!) You have made a complex issue easy to understand and reference. Thanks for all the effort you put into this blog! I am definitely concerned about oral drugs in the bundle. I currently have good labs on a combination of phoslo and Renvela. But I can foresee that under the bundle, renvela may be harder to get and we may be reduced to phoslo only as long as our calcium stays under control. I see a lot more lab testing in our future as well. Just one more example of insurance getting between us and our physicians. To address your concerns what I am thinking is that perhaps, drug costs will be raised due to the medical product excise tax and taxes on pharmaceutical companies. Another thing I could see affecting many middle class folk is that the minimum tax deduction for non-reimbursed medical expenses will rise from 7 to 10%. However with dialysis and its exorbitant costs I believe that would be more than enough to hit that threshold. My gosh, this was a valuable read to me as I’m just not understanding a thing about all this – but I am interested. I thought Obama was offering the US citizens a better deal, as I believe you don’t simple care even in an emergency (which to me is horrific). My stepmother was on dialysis, all paid by the government. Wish the same for all.